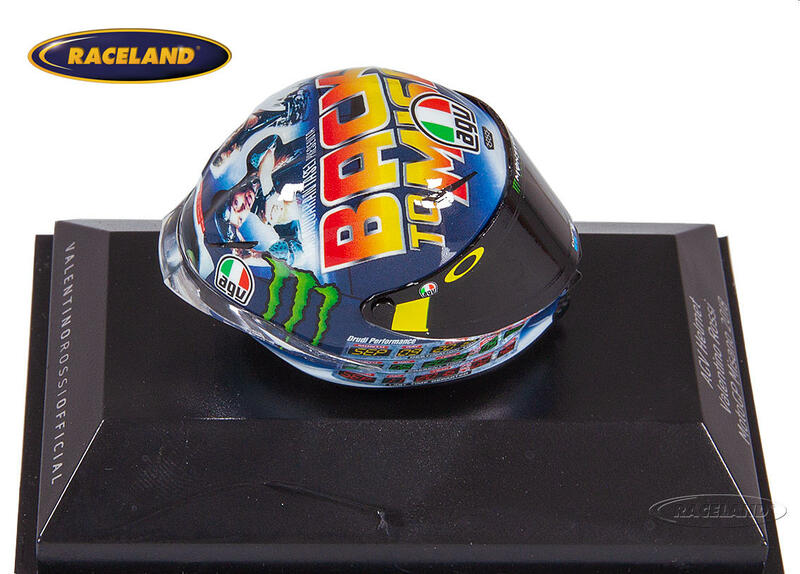 The product "Helmet AGV Valentino Rossi Yamaha Factory Racing MotoGP Misano 2018" was successfully added to your wishlist. Minichamps 1/8th scale. 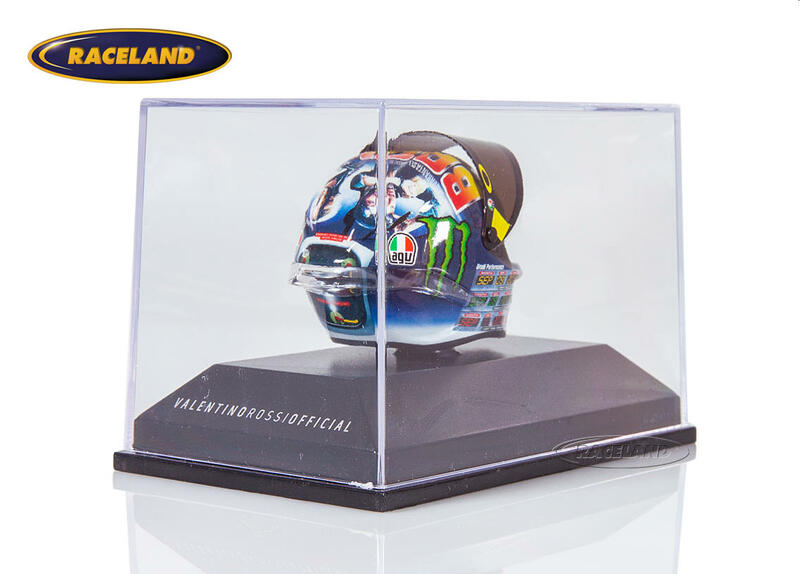 Valentino Rossi Collection. Authentic high quality helmet model 1/8th scale. Painted and imprinted to a very high standard. 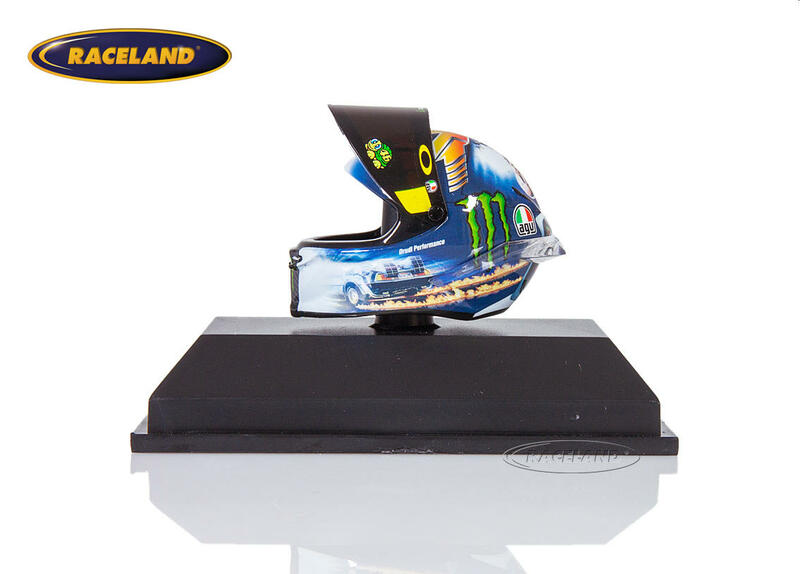 Helmet model size approximately 5 cm. Comes in display box.